Description: This 16-inch stainless steel barrel is engineered to be lightweight balanced and--most importantly--accurate. 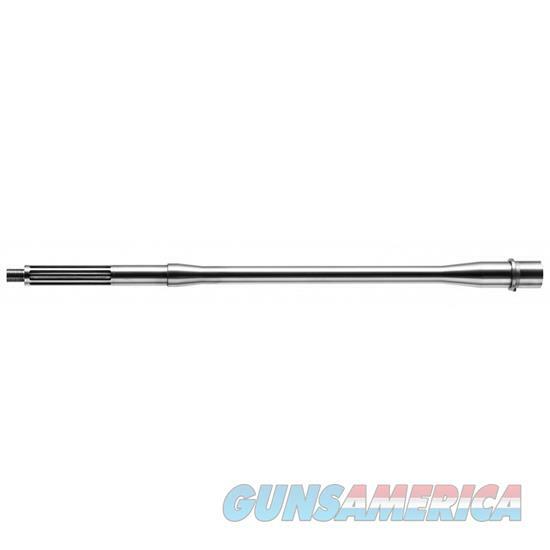 - Key Features - 416R stainless steel - Profile specifically designed to be lightweight and accurate - Fluted and contoured to reduce weight while maintaining strength; also available without flutes - M4 barrel extension - 1/2 x 28 thread pitch - 1:7 twist rate rifling - .223 Wylde chambered - .750 at the gas block - Mid-length gas system - 16 inches - 1 lb. 11 oz.